The RoomTrust knowledge base is now available online for organiser and hotel users. You can find answers to your questions by searching the Help pages via the HELP link. Follow the link to the Organiser or Hotel help pages and you can search under the subject headers or by using words or short phrases. We will be adding more pages so that every possible question is covered. The Help pages are for the benefit of all users - so tell us if you think something is missing. Formally, for hotels not connected to RoomTrust, it has been necessary to send rooming lists by email in an encrypted format. Now it is possible to send the non-connected hotel a temporary link to RoomTrust to be able to run their own rooming list, further enhancing data security. The reports module has been greatly enhanced for the key group reports: Status Report, Rooming List, Change Report, Invoice Requests and Travel Information. All reports have been reformatted and are available in html, pdf and xls formats from the Reports home page or the group’s Reservation List page. Further changes to the Reports module are underway with greater flexibility of data reporting. Further updates will follow shortly, keep your eyes on this space! Our very best wishes for 2019! The entire RoomTrust team send their very best wishes to all client and hotel users for the New Year. 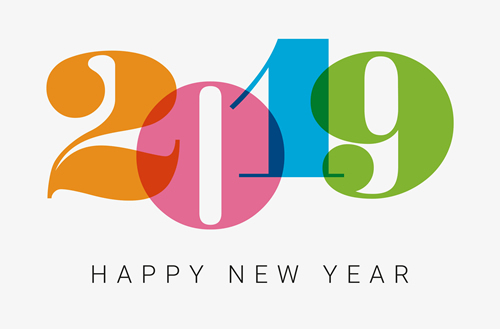 We hope 2019 brings you every success, health and happiness. RoomTrust has a year of exciting new developments planned that we can't wait to share with you. Stay tuned! The latest system updates introduce some great new features for organizers. All user types can now see the details of hotels in the system via the ‘Hotel’ menu item. Current contracts relevant to the user’s company or organization are also visible on the hotel list page. If hotels contracts exist for your company, there is a “Contracts” button top right. Whilst all users now have the visibility of the hotel details it is only those with the ‘Manager’ user status that can add new hotels or edit hotel details. Where event room blocks have been set up to request the credit card details of participants during the booking process, it was not previously possible to for the event organizers to make bookings for event paid VIPs, speakers without adding credit card details. There now exists a feature for organizers to make bookings and request that they are guaranteed and paid by the event without the need for a credit card. Whenever required, just let us know, and we will set this feature for you. For the more complex events there are often multiple participant types: some paying their own hotels, some being paid by the event. Sometimes you also wish different participant types to have access to different hotels too. It is now possible to set different participant types and provide them different login codes. The login code will define which hotels and room types they see and whether or not they should guarantee and pay their own rooms. If you have events of this type let us know during the planning phase and we will help you to create the login types. Where a minimum number of nights for a booking is specified when setting up the room block the system now verifies that the minimum nights requested does not exceed the number of nights in the booking. The bug that prevented guest names for future dates being found during a name search has been fixed. Very shortly a knowledge base will be available in RoomTrust enabling users to search for tips on “how to do” for the system features and functionality. The latest release (4.9.5) of RoomTrust provides an enhancement of the 'Import Guest Names' functionality for event organisers. For organisers managing rooming lists it's now easier than ever to import guests names into RoomTrust via a word processing or spreadsheet application - just copy/paste rather than entering names one by one. If you also include the email address of the guests, Roomtrust will send the guest confirmations automatically when you complete the process. If you create participant booking pages linked to your group allocations/room blocks it is now possible to show available rooms without rates as an option. This is useful if you have events where rooms are paid by your organisation and you don't want participants to choose hotels based on rates. The next exciting updates will be in October when there will be a combination of user-requested changes and some additional enhancements for all. A new participant booking site status has been introduced – rather than either open or closed, a new “Restricted” mode prevents new bookings but allows participants with bookings to make changes. The June update introduced a news archive – so users can click on the ‘News archive’ to see previous news items. For hotel users, the standard terms and conditions of use will be updated before the end of July. The changes are minor, but hotels users will be required to agree them before responding to any new requests. Once ready, you will be reminded at login to read and agree the new terms. At RoomTrust we have always been eager to push the boundaries of engineering in order to provide our clients with a reliable, secure and performant system. We firmly believe that technology is the key to success, and staying in the forefront of the continuously evolving landscape of innovation benefits our customers as well as ourselves. We switched to Scala as main programming language in 2012 and migrated our entire infrastructure to the cloud by the end of 2013, replacing a monolithic architecture with microservices running on lightweight servers. Since then we have been working relentlessly on improving the user experience, introducing new modules for booking, hotel management, administration and reports. RoomTrust is happy to announce that we are now fully GDPR compliant. In fact, not much has changed as we have always prioritized the protection of any personal information provided to us. It is only ever used for the purpose intended and never sold or shared with third parties. Corporate, event management and hotel users will no longer receive system news and updates by default - but you can opt-in again by changing the setting in your personal profile. The details of our commitment to data protection can be read via the link at the base of all our web pages. Agency and Corporate managers can now manage their own hotels in RoomTrust so any hotel, anywhere in the world, can now be incorporated for event participants to book. Additionally, hotels in RoomTrust with a non-connected status can be invited to connect. Working with connected hotels saves time and money - block contracting is direct and paperless and connected hotels can see block status and run their own rooming lists! RoomTrust is now the complete tool for event professionals managing hotel accommodation. Version 4.8.0 has just been released and completely updates the management of hotel information and users. A new hotel module is now accessible from the "Profile" link for hotels with a clear and simple interface. It enables greatly improved hotel information, more and better images and a clear and simple user management screen. Improved hotel information benefits organisers and participant bookers, who now see enhanced hotel detail when making their selections.